Evan Roberts really is one of student pokers finest players. The 23 year grew up in California old graduated from Stanford with a degree in business and has never looked back since. Evan got into the game when he was 17 at high school playing casual home games with friends. This expert has earned millions of dollars online in cash games and specialises in heads up strategy. Evan started by making a small deposit online and building it up, he admitted that the first two deposits he made he lost but the third one stuck and he has never had to redeposit since. Evan will regularly be seen playing on the Prima and Ongame networks at around $25/$50 and above under the alias _Fisherman. 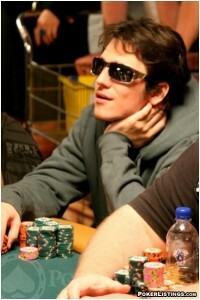 Players may also recognise Evan as a coach on the large video site pokersavvyplus.com. Evan makes heads up strategy coaching videos for players ranging from beginners strategy all the way up to high advance principles. Isaac Haxton also known as Ike Graduated from Brown University with a degree in philosophy. The young poker professional was born on the 21st of September 1985 and since turning 21 in 2006 has acquired over 1 million dollars in tournament earnings at live events. 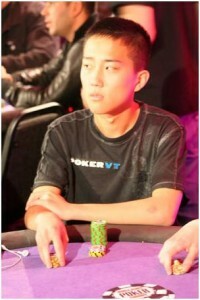 The successful young player managed to finish 7th in the world series of poker 1k rebuy netting himself a tidy profit. The young student poker player is known online by a few aliases such as philivey2694 on PokerStars and luvthewnba on Full Tilt Poker. Ike was also a gamer since the age of ten and is an expert in the card game Magic the Gathering however after realising the earning power of poker decided to start playing professionally. Ike is predominantly a cash game player normally playing $25/$50 and above on the no limits cash games online. Ike is recognised around the world for his long black hair however in last years World Series of Poker he had a make over and the hair had to go. 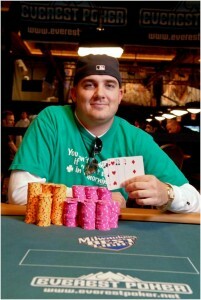 Ryan Hughes made a big splash on the poker scene when he won his first world series of poker bracelet in 2007. 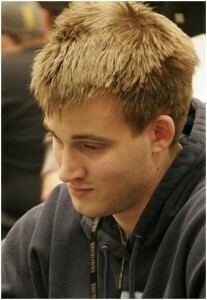 This successful student poker player was born in 1981 in San Francisco but now lives in Phoenix. Like many poker players Ryan started playing poker back in college casually when he attended Arizona State University but after a bit of time dropped out to play poker full time. Even though he took down his first bracelet in the 2007 7 card stud event netting him a cool 176 thousand dollars he was no newbie to the live poker scene. Not only did he win the bracelet in 2007 he came back in 2008 to defend his title and won the tournament again. Ryan plays a wide array of tournaments including Omaha and Stud however he is considered to be a No Limit Holdem heads up specialist. James Mackey is one of pokers up and coming talents, James is just 23 years old and was born in Kansas City. James now plays poker full time as a living in Columbia. James started off as a college student who studied medicine at the University of Missouri but quickly dropped out and decided to play poker for a living. He is well known online playing as the alias Mig.com and is seen regularly playing the highest stakes tournaments online. James made a big impact on the live online poker world when he won the 5k no limit buy in at the 2007 world series of poker to take home more than 730k for first place. The young star also saw some success in the 2008 World Series Of Poker Championship finishing second in the World Champion Mixed Event netting him another 297 thousand to add to his prize pot. 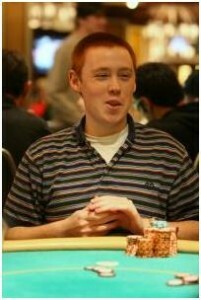 Adam Junglen is one of the most successful players on the student poker scene. Born in October 1987 the young player is now just 22 years old but has already experienced wide success. Known on poker stars as AJunglen7 the successful player took down the PokerStars famous Sunday Million for 198 thousand dollars from just a $215 investment. This was not just a one of piece of luck though he has also finished 3rd on the Full Tilt Poker 1k weekly Monday tournament. Adam Junglen did have a brief fling at college but like so many poker players before him he decided to drop out and play poker online full time. He has had some brief success in live poker world finishing 6th at the Ceasars Palace Classic in October 2008 taking home a nice pay day of just over 145 thousand dollars in total. He has yet to win a large tournament yet and is still chasing that illusive first World Series Of Poker Bracelet, but when it comes to Adam it seems like it will just be a matter of time before it happens for him. 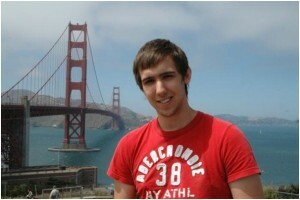 Nick Pateman is an up and coming young professional student poker player born on 5th may 1988. The young poker player is just 21 and plays mid to low stakes online specialising in 6 player max poker. He’s currently studying at Leicester University majoring in business economics; Nick plays poker part time to earn his way through University and is known as the alias Platefish online. Nick is one of the few poker players who haven’t been tempted to drop out of their studies in order to pursue their lucrative career. Able to clear around 1 to 2 thousand dollars a week on average this player isn’t going to break the bank just yet. However recently cashing in on the PokerStars 200k guaranteed coming 5th to take home a nice 10 thousand dollar prize is just the beginning of success for this young professional.